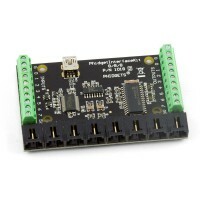 Description: Proximity sensors are the most common and affordable solution for no-touch objec.. 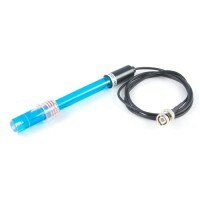 Description: Proximity sensors are the most common and affordable solution for no-touch object .. Description: The IR Distance Adapter is designed to interface with the Sharp IR distance-sensor.. Description: This IR distance sensor Kit includes the Sharp 2Y0A21 (IR Distance Sensor) and the.. Description: The 1146 IR Reflective Sensor uses an infra-red LED and a phototransistor to measu.. This capacitive proximity sensor is used for non-contact detection of metallic and non-metallic .. Description: This capacitive proximity sensor is used for non-contact detection of metallic and..
Decription: This is the LIDAR Lite V3, a compact high performance optical distance measurement .. 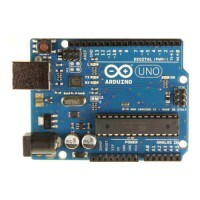 Description: Need a autonomous controller of Relays by the use of a analogue sensor, or even th.. Description: This popular sensor made by Sharp produces an analog output that varies fr.. Description: This popular sensor made by Sharp produces an analog output that varies from 2.5.. Description: This popular sensor made by Sharp produces an analog output that varies from 3.1.. Description: World beating performance - the SRF01 employs 2nd generation AutoTune technology w.. Description: This sensor from Devantech uses echo (ultrasound) to measure the distance between ..